Ro’s Beauty Spot Salon – based in Benoni – is homely, small and comfortable, but private and clean. My name is Rowena and I am the owner, therapist and manager of Ro’s Beauty Spot Salon. My home based salon is very and has provided me with many specials memories and amazing clientele. I offer personalized and undivided attention to detail in my all treatments, catering to each client’s needs and concerns. As my salon is a home based Beauty Salon all bookings are by appointment ONLY. Ro’s Beauty Spot in Benoni has been open since December 2009. It has been an amazing experience, and has allowed me to grow into the person I am today. As a qualified consultant, I offer waxing, Annique Rooibos Facials, Bio Sculpture Gel treatments and Manicures and Pedicures. With Ro’s Beauty Spot Shop I have decided to showcase and display items from both Annique Rooibos Products and Avon Product houses that area on promotion for the month to order and view. All my facials make use of ONLY Annique Rooibos products. These products are Rooibos based, natural and specifically formulated for the South African skin type. Annique Is a very important and special part of my life and have been working with it Since 2007. I offer product recommendations best suited to your needs and budget. Please view my Annique Rooibos Page for more info. I use a High Frequency machine to stimulate oxygen production to help activate blood circulation, decrease inflammation and help stimulate cell renewal and hydration through product absorption. The Rose (luxury) facial is 60min and includes a FREE brow and lip wax. My Pressed Rose Facial (anti-aging and hydrating) is a 75min facial in which I use the Amazing Annique DermaLift Machine to help hydrate, nourish and lift the skin. This Machine is also available for purchase. The Rose (luxury) facial and Petal (basic) facial are my most popular facial treatments. My Manicures and Pedicures – 60 min treatments include Paraffin wax dip and hand/foot exfoliation and massage. With Manicures and Pedicures this includes French Paint if the client requests this service. Paraffin wax dip is a hydrating, nourishing heated mask that feeds the skin. It’s a specialized treatment that my clients really do love and is included in my full 60min treatments and Gel Pedicures at no extra cost. Please Note: all men’s appointments are by referral only. 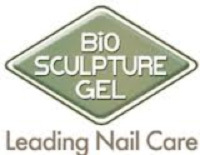 Ro’s Beauty Spot is also distributes Bio Sculpture retail products by order.